The thought of cooking turkey to me is overwhelming. I just think of all the stress of getting up at 4 am to put the turkey in. The way it makes you sleepy after you eat it… and then that great big carcass that you have to pick. Ugh, turkey is not my rodeo. I have done it before and it has turned out just fine. Mentally there is a barrier in my thoughts every year when I decide what we’re going to have for Thanksgiving dinner. My thoughts always balk at the idea of cooking another turkey. So, if we are at home with just our family, the truth is, I don’t cook one. We have roast, ham, or just sit around and devour the deviled eggs by themselves (joking!!). What about you? Are you a turkey cooking kind of person? If you are, then, hats off to you, from me personally, because I will put it off again until absolutely necessary. I will share with you some of my favorite recipes for Thanksgiving and holidays and sadly, because Kraft used to send free recipe magazines in the mail, most of my recipes are their recipes. 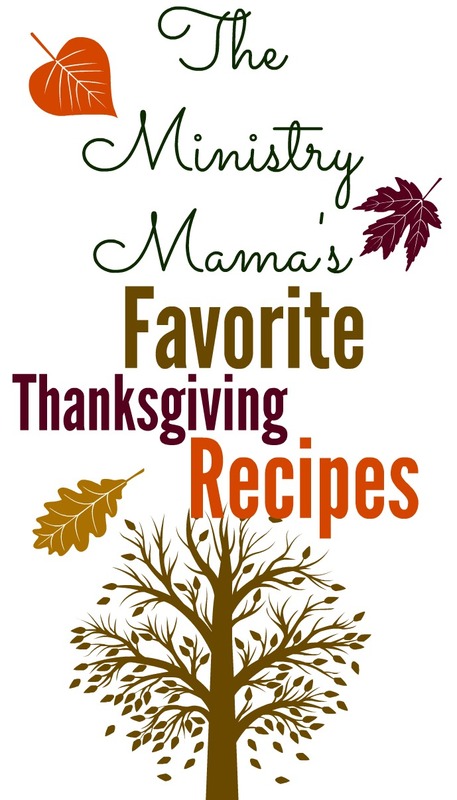 We have had to adjust some of them to fit our allergies and gluten-free diet but all-in-all these recipes are becoming our family traditions. The Bruschetta Chicken Bake – This is one of my absolute favorite dishes to make. You can even double, triple, quadruple it to make it for a church meal. People love it! I prefer this because how many times do you eat turkey in the season before your palette begins to desire a change ? This recipe combines stuffing (use gluten-free if needed) with a can of diced tomatoes. You take diced chicken and put it in the bottom of your pan, top it with cheese (or omit if you’re intolerant) and top with the stuffing mixture, then bake in the oven. Helpful Hints: You can use your turkey leftovers instead of chicken. You could also add a can or two of green beans on top of your chicken and it still turns out great! Cranberry-Pineapple Minis – Who knew that combining jell-o, crushed pineapple, and whole cranberry sauce would make something so delicious!? Our family loves this recipe. We simply omit the nuts since our son is allergic and it always turns out fantastic. The cupcake liners for this recipe are the foil ones, to help them stay in their perfect shape so that they come out as perfect-sized portions of yumminess. Helpful Hint: This recipe also works great for serving church meal or a banquet meal. Whipped Sweet Potato Bake – This recipe makes a great sweet potato side. If you like light and airy sweet potatoes then this would be something you would enjoy. If you like the big sweet potato chunks… this recipe will probably not be your thing. In my opinion, mixing the sweet potatoes and making them similar to a mashed potato texture may make them go farther if you are serving more people. Helpful Hint: It’s all in how you cool the egg in cold water that helps the shell come off easily. We still have not decided on whether to have turkey, ham, roast, or deviled eggs for Thanksgiving this year but I have a feeling I am going to have to make a decision and fast! It looks like after the past couple of busy months we might be able to take a few days and spend them solely together for our Thanksgiving. And you know, that’s alright with me, sometimes it is a higher degree of gratitude and appreciation when you can lay all the world aside and focus on who God gave you to minister to. So, as you plan your meals for family I hope and pray that this Thanksgiving will be a special time for you to focus on the special blessings God has provided and that God will also allow you to be able to focus on those God has given you to serve and minister to. Reminder: This Thursday (11/20) is our last day for our Facebook Giveaway of Ruth Ann Larkly’s Bible Study books (3 books in a bundle!!). If you have not entered from the Ministry Mamas page, then please follow this link and get in on that before it’s too late. Also, if you have any photos of your Thanksgiving/Fall or Christmas decorations please remember to submit them. Or if you would like more information please read up about how we are trying to build up a gallery of church decoration ideas here.